A revolutionary, new in-store lab is here! 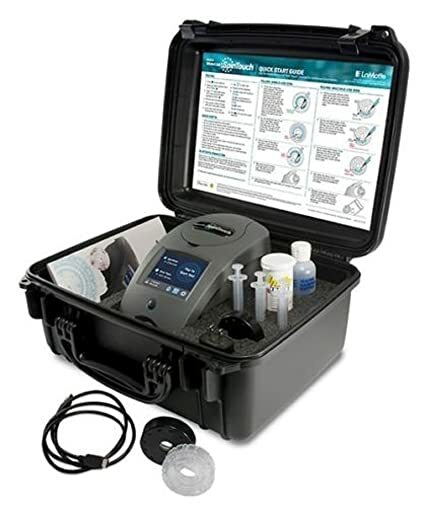 Now let the innovative WaterLink® Spin photometer do all your pool and spa water testing for you. 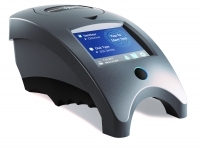 The NEW WaterLink Spin Touch is easy to use. LaMotte's Research and Development team spent 7 years pioneering this new technology. 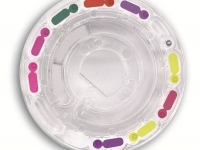 All you do is add pool or spa water to the disk to measure all of the tests in just 60 seconds. It's the most advanced system for precise use of wet chemistry methods ever produced. Now in-store pool and spa analysts can achieve greater precision than current water labs without time consuming procedures or sacrificing accuracy by using test strip scanners. Click here for WaterLink Spin brochure. - 3 ghz processor or greater. 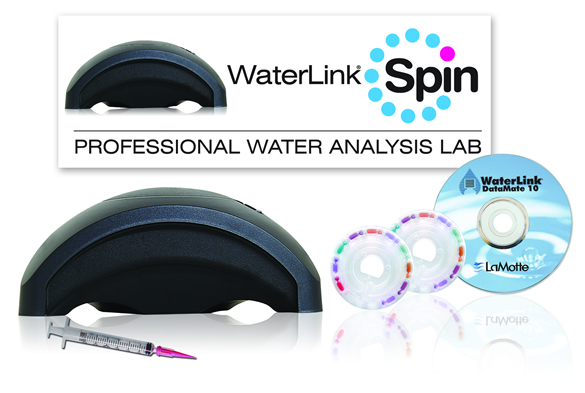 Check out the YouTube videos to help you use your WaterLink Spin Lab! Download the Testing Tips PDF. 1. Always handle the edges of the disk not the top or bottom. 2. 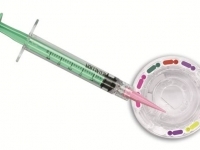 Hold syringe upright and fill the disk SLOWLY to avoid bubbling or overfilling. 3. Test filled disks promptly - always within 10 minutes of filling. 4. Fill until the upper layer of water is between the fill lines on the left. 5. Use lint-free wipes to dry disks or clean spills inside the meter. 6. Always use the BLACK disk cover to prevent stray light. 1. Never hold CDs with messy/ wet fingers, especially on disk tops or bottoms. 2. Avoid bending the syringe tips since it will slow silling. 3. Don't leave sample from an old test in the syringe. 4. Never fill the disk too quickly. Overfills or bubbling can result. 5. Never jam the disk into the motor post (hub), it can damage the motor. 6. Avoid inserting wet, overflowing disks into the meter. 7. Never attempt to re-run disks since reactions are timed for accuracy. 8. Avoid opening more disks than you will need each day.